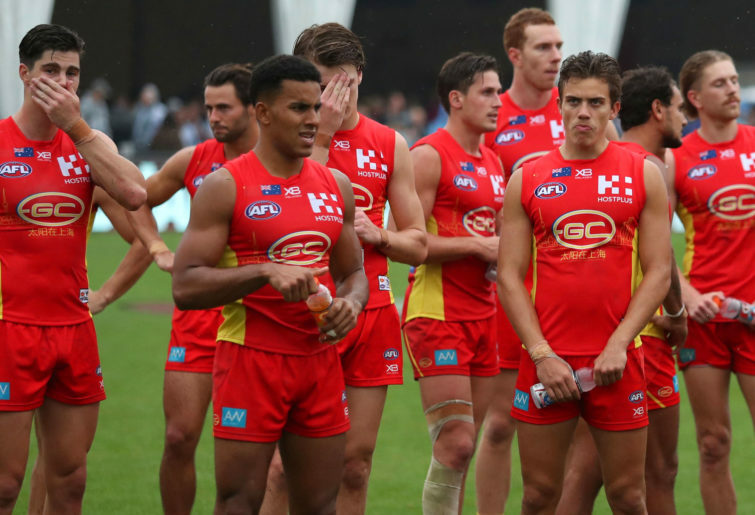 2019 AFL lists are all but finalised following the completion of the draft, allowing us to run the numbers and look at which sides have moved up or down the age and experience ladders. It should be noted here that it’s still possible for AFL clubs to recruit new players before the 2019 season via a new mechanism that allows clubs to sign formerly AFL-listed players as rookies if they have a spot open starting from December 1. We already know about five signings that will be made official when that window opens – Shane Mumford to GWS, Zac Clarke to Essendon, Maverick Weller to Richmond, Corey Wagner to Melbourne and Keegan Brooksby to West Coast. Although not technically listed yet these rankings have been calculated to include these players on their new lists and will be retroactively updated if any additional signings are made. To see Hawthorn and Collingwood in the top three for age last year was something of a surprise coming off a 2017 where neither made finals, but top-four ladder finishes for both in 2018 has seen them stay the course and become the two oldest lists in the competition. Bringing Chad Wingard and Tom Scully to the club has seen the Hawks become the oldest list in the competition while Collingwood’s decision to bring home former premiership player Dayne Beams has them in second. Both made smaller than average investments in the draft. The biggest mover on the age table however is North Melbourne, jumping from the second-youngest list of 2018 to the seventh-oldest in 2019. This is a particularly signifcant increase when one considers they lost one of the oldest players in the league, Jarrad Waite, at the end of the year. The rapid movement comes courtesy of course of the recruitment of the likes of Aaron Hall, Jasper Pittard, Jared Polec and Dom Tyson. West Coast have also taken a notable jump up the table, having won the flag with a list ranked 11th last year to now be in the top four for average list age. Much of the reason for this move up the table is that the Eagles have recruited two mature ruck options in Tom Hickey and Keegan Brooksby to help cover for the temporary loss of Nic Naitanui and the permanent loss of Scott Lycett. That might not seem like it would be enough to cause such a significant move up the rankings, but it’s worth noting that the margins between spots in the middle of the table are quite thin. The gap between 11 to 4 represents only 0.38 of a year, a smaller difference than comparatively exists between the Eagles in fourth and Adelaide in third (who are +0.44 on West Coast). 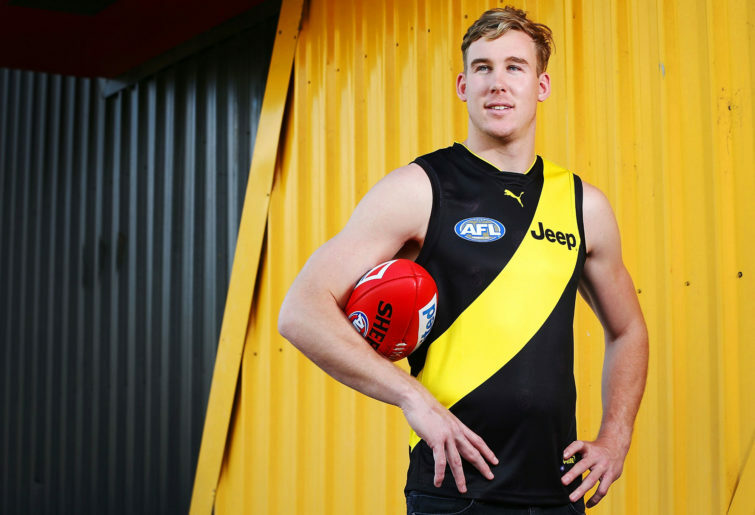 Richmond and St Kilda are the other sides to make a notable move upwards, the Tigers thanks to acquiring Tom J Lynch and Maverick Weller, St Kilda with some thanks to bringing in Dan Hannebery and Dean Kent but also taking four mature players at the draft. When it comes to teams going in the opposite direction, Port Adelaide are the biggest mover down the table, dropping from being the fifth-oldest team in 2018 to the fifth-youngest in 2019. Moving on the likes of Chad Wingard, Jared Polec, Jasper Pittard and Jack Hombsch during the trade period – and replacing them largely with 18-year-old draftees – is the primary cause of this drop. Fremantle, noticeably, have slipped five spots down the rankings despite being one of the more active recruiters during trade period. While they did bring mature players Jesse Hogan and Rory Lobb in, that wasn’t enough to counterbalance the retirements of Michael Johnson, Danyle Pearce and Lee Spurr as well as the delisting of Tom Sheridan and Cam Sutcliffe and of course also the loss of Lachie Neale to Brisbane. Hawthorn were already the AFL’s most experienced list in 2018 and will wear the crown for another year in 2019. The decision to proactively hunt mature talent during the trade period was bound to keep the Hawks at the top end of this table, especially when they were willing to sacrifice promising young talent like Ryan Burton to get deals done. Collingwood come in just behind the Hawks at No.2 just as they do on the age rankings, but there’s a significant gap – more than six games on average – between them and the next-ranked team in Adelaide. North Melbourne are the biggest movers on this table again for the same reasons that they were on the age table, and the same goes for the movements made by Richmond and St Kilda upwards and Port Adelaide and Fremantle downwards. Perhaps one of the bigger surprises on this table however is that Essendon are ranked the third-least experienced side in the league, ahead of only Carlton and Gold Coast. The simple reason for this is that losing 334 games of experience in the form of the decision to delist Brendon Goddard has hit their average pretty hard. While the Dons did bring in Dylan Shiel and Zac Clarke, their arrivals aren’t enough to prevent Essendon moving down the experience table. They also lost Travis Colyer. Of course, this is another movement that looks larger than it is because of how tight this section of the table is. Just an extra two games of experience per player would see Essendon rocket back up to 11th again. Gold Coast, unsurprisingly, come in last here as they do in the age rankings. While the Suns were able to stay relatively close to the pack in terms of average age by bringing in a number of mature recruits, the inexperienced nature of these recruits (being largely the unwanted state-league toilers of rival clubs) has seen them drop to more than six games behind 17th-ranked Carlton in terms of average experience. Overall the numbers hint at a few possible conclusions, one being that putting heavy 2019 expectations on the likes of Melbourne, Fremantle and Essendon because of their notable trade period recruits might be a little premature. Of these three sides, only one – Essendon – is in the top eight for age, and they are eighth. None is in the top eight for experience. That’s not to say that these lists aren’t capable of achieving great things in 2019, but instead that they are still some distance from hitting their high-water mark in terms of talent maturity. Similarly, despite boasting so much perceived positive momentum, Brisbane are yet to escape the bottom four for either age or experience. Again, it’s not to say they won’t make a leap forward in 2019 – but if they do, they’ll be outperforming where these metrics suggest they’re at. The fact Adelaide features in the top three for both categories should be a reminder that the Crows, despite a disappointing 2018, are still demographically a force to be reckoned with. It should also be noted that, although they’re now one of the five youngest lists in the competition, Port Adelaide are still in the top eight for experience – something that could form the basis for a better-than-expected season in 2019.